ALLEGRA BOVERMAN/Staff photo. Gloucester Daily Times. 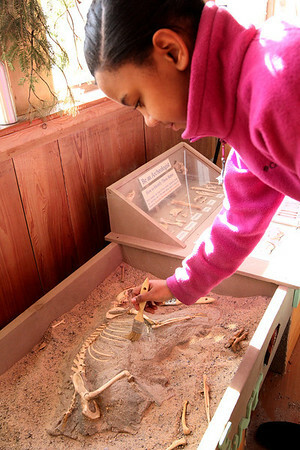 Gloucester: Raysa Zorrilla, 12, of Gloucester, brushes away debris to examine an animal skeleton at the Cape Ann Learning & Discovery Center while visiting there with her sisters and brother on Thursday.